This is for the people who aren’t the brightest cooks but wants to do something special for their SO this Valentine’s day. Very easy, stress-free, delicious tomato spaghetti dish. The “hardest” part about this dish is probably boiling the pasta, dead serious. There is nothing really all that technical about this recipe. 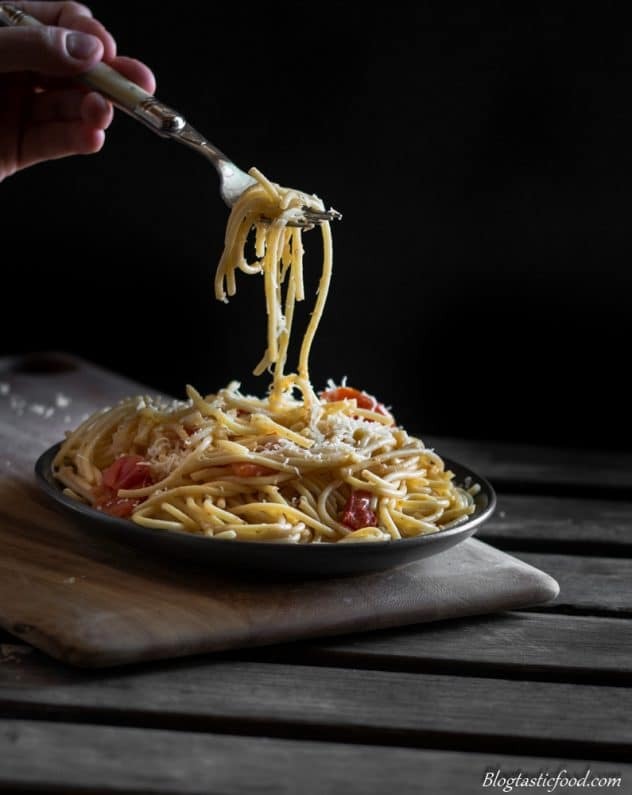 Give the dish a little bit of love and care, and you should be able to smash out a wonderful pasta dish in about half an hour. So the goal isn’t to worry about how well cooked the cherry tomatoes are (remember, this is a sauce so it won’t matter), the goal is to to get as much flavour into them as you can so that when the dish comes together, it will end up tasting really good. And it doesn’t really take much to do this, just cook the tomatoes in some salt, garlic, olive oil and dried oregano and you’ll get some great flavour. 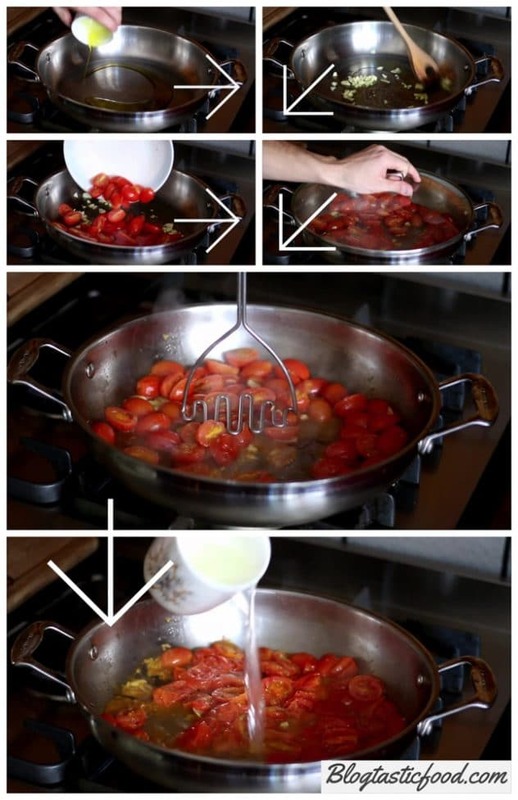 After that, you mash the softened cherry tomatoes with a potato masher. This makes the tomatoes release all their juices. Now, before you do all this, you would have already scooped out some of the pasta water using a cup as the pasta was boiling. 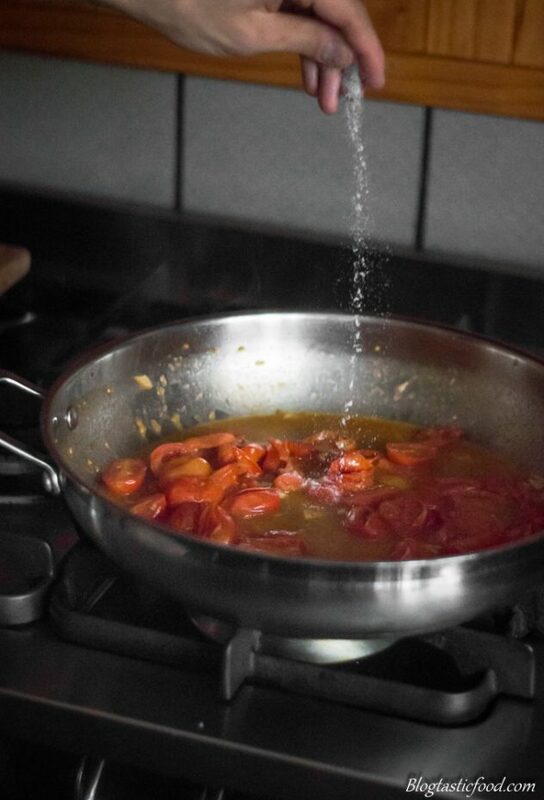 You then add that pasta water to the tomatoes, to make it into a sauce. So why pasta water? For two reasons, one it’s salty so it won’t make the sauce go bland. And two, it’s starchy so it won’t allow the sauce to go too thin. You could add stock if you want, but to be honest, using the pasta water is just a great reason not to add another ingredient. And it really does come in handy so since it’s there, you may as well use it. One more thing, I added a touch of sugar. 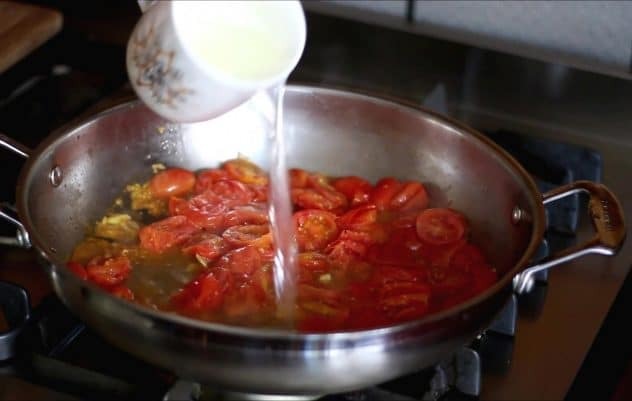 When you cook tomatoes, they can become quite acidic, so whenever I make any kind of tomato sauce or soup, I just add a pinch of sugar to balance out that acidity. So, why even bother trying to cook your pasta al dente? Simply because the pasta is much more satisfying to eat with that little bit of extra chew. Next time you boil pasta, try eating an al dente string of pasta straight after eating an overcooked string of pasta. You’ll notice how much better it is and that it’s worth the “effort”. However, in all honesty, it requires 0 effort. It really isn’t that difficult to achieve that al dente texture. Most spaghetti packets say to cook the pasta in boiling salted water for about 10 minutes. All you have to do is cook it for about 8 minutes instead. Basically, cook the pasta 1-2 minutes less than what the packet instructions say because remember, we still need to mix that pasta through the sauce, so the pasta will still be hot and it will still be cooking. So it will be the slightest bit undercooked when you drain it, but by the time you actually serve the dish, the pasta should be perfectly cooked. I really hope you are able to make your partner happy this Valentine’s day. If you want to follow me on social media, I am on Facebook, Pinterest, Twitter and Instagram. And if you enjoy this recipe, I ask that you give it a star rating in the recipe box below. 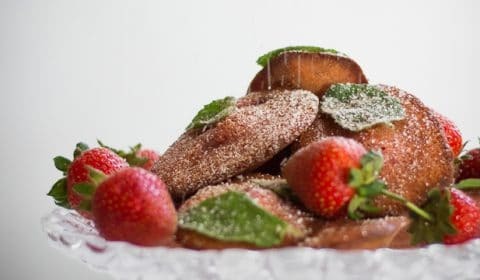 A quick and easy dish that you can serve to your SO this Valentine's Day stress-free. Put 3.5L of water and 1 tablespoon of salt in a pot, then bring to a boil over the stove. Add your spaghetti to the salted boiling water, then cook for about 8 minutes (or 1-2 minutes less than what the packet instructions say) stirring it occasionally, making sure it doesn't stick to the bottom of the pot. Before you drain your pasta, get a cup and scoop out some of the pasta water, you'll need that water for later. Strain the pasta, then set aside. 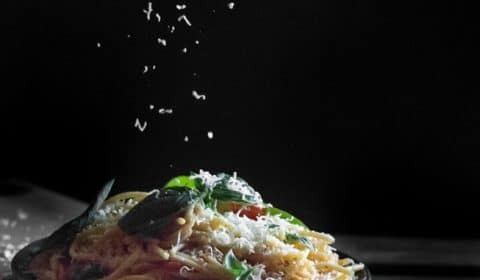 You can add a touch of olive oil to the pasta if you want to stop it from sticking. Get a frying pan that is at least medium-sized, and then pre-heat it over medium heat. Add your olive oil, then add your garlic. Fry the garlic in the olive oil for about 30 seconds to a minute. Next, add your cherry tomatoes, dried oregano and a pinch of salt and pepper then combine in the pan. Put a lid over the pan, and then let the tomatoes cook for about 5 minutes. Take off the lid, then use a potato masher to firmly mash the cherry tomatoes down, making sure they release all of their juices. Add a small splash of the pasta water you scooped out earlier (about 2-3 tablespoons) and then let the sauce simmer for a couple of minutes. After that, taste the sauce to see if it need any more salt. Add your spaghetti then coat in the sauce. If you find that the spaghetti is sticking together a bit too much, you can add some extra pasta water (just a small splash though). Add your grated parmesan, and then toss/stir through until the cheese is well incorporated in the pasta. Heat some bowls in the microwave or a low-temperature oven. Once the bowls are nice and warm, neatly serve the pasta in them. 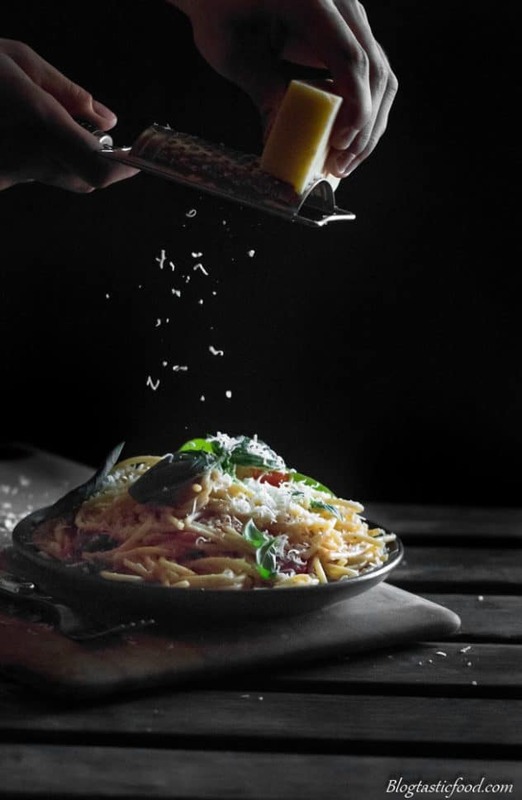 Finish the dish by sprinkling over some extra parmesan cheese and garnishing with fresh basil. Serve and enjoy. Cook the pasta a minute or 2 earlier than the packet instructions say. Reserve some pasta water for the end. And a touch of sugar to the sauce to balance out the acidity. Don't be shy with the cherry tomatoes, use plenty of them. Make sure every string of spaghetti is coated in the sauce. Do not forget to season the pasta water. Thanks for the great idea. I have heart-shaped pasta that I bought in Italy. 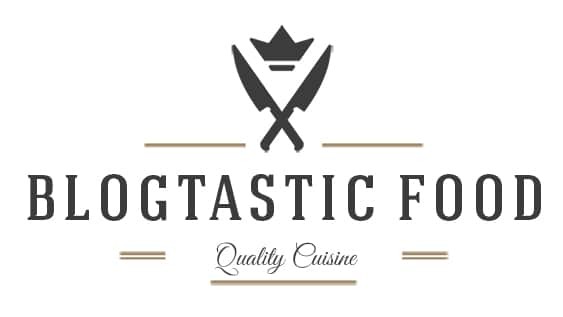 I am going to use it with your sauce recipe for my family’s Valentine day dinner. I think I will cut the tomatoes smaller so that the heart shaped pasta stands out. I’m not a novice but am looking forward to making this recipe. It looks so simple and delicious, I hope it will encourage others to begin making their own home made and healthier meals. Lovely idea and sounds really yummy! This looks really good! I typically forget the sugar, I’ll remember that for next time. Do you ever make your own pasta? That’s the only way I even make pasta at home. Hi Nicolas, I’m ITALIAN, among Indian,$ English, & I can’t wait to try this recipe. Thank-you very much. Great point on using the pasta water! Yes! 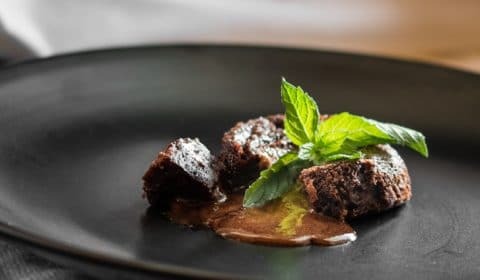 This looks absolutely delicious, thank you for such a great recipe! Super Yum Nick, I love spaghetti!